Eldoron Defense (Free) by Playmunz is a tower defense game that uses adorable magic students to defeat the monsters. The magic school is under attack, and they’re your main defense. Plan where you place the students very carefully. 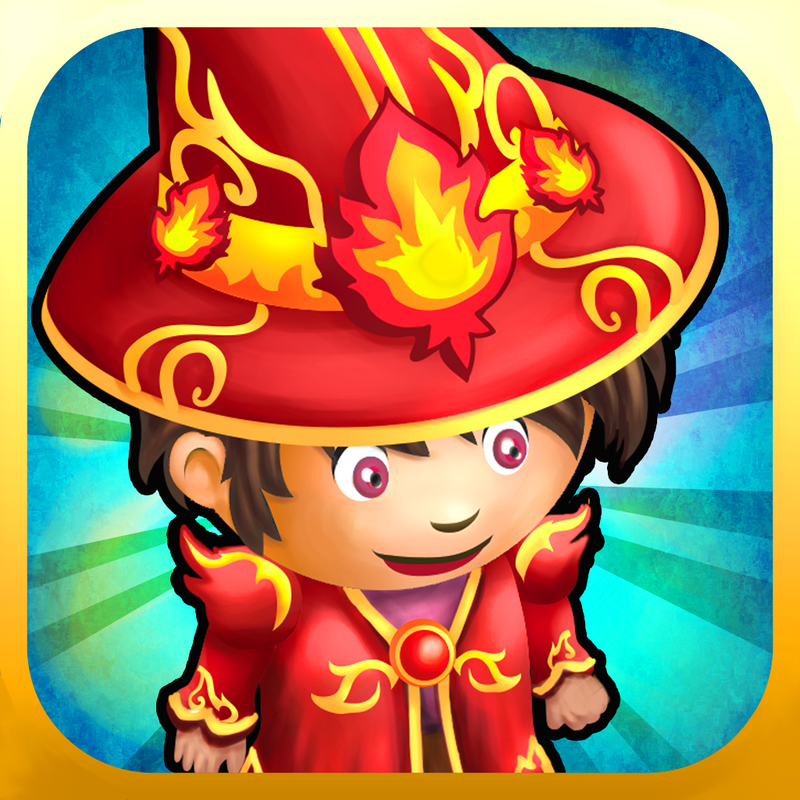 Different magical abilities are available when certain magic elements are side by side. Not only are you looking for the best vantage points, but you also have to plan on how the magic elements will interact. 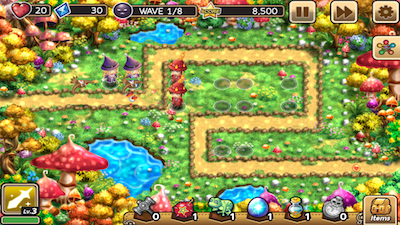 There are six different elements of magic in the game. You can use two magic students of the same element to amplify each other’s attacks. They need to be upgraded to level three and placed side by side. This is called fusion magic. Now, normally when you’re dealing with magic, fire and water don’t mix. Neither does plant and energy. In this game, these opposites create some awesome hybrid magic spells. 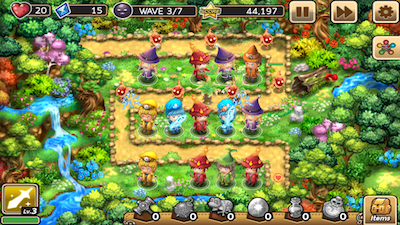 By placing magic students from different elements together and upgrading them to level four, you can use these strange spells. 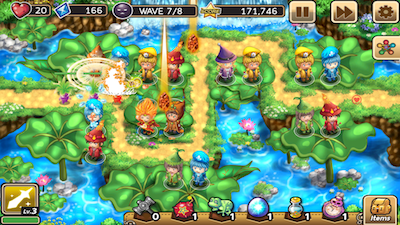 For example, fire and earth create meteors that fall on your enemies. You can use your gold to buy magical items that can help you if the monsters are overwhelming your magic students. 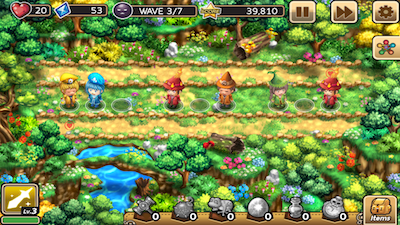 You can also equip magic students from a particular element with armor or weapons to give them an advantage in battle. There are many magical items that you can use, but not all of them can be bought with gold. The hybrid abilities cost $1.99 each. Now, there’s a free hybrid ability available every day. You’re just limited to that particular hybrid spell until the next day. Buying the hybrid magic books allows you to use those spells freely. There are other magical items that cost money to use. They are so spread out across different menus and numerous that listing them all would be pointless. The costs range from $0.99 to $2.99. You can also remove ads for $0.99. The ads pop up after you win a level, but they aren’t present during gameplay. 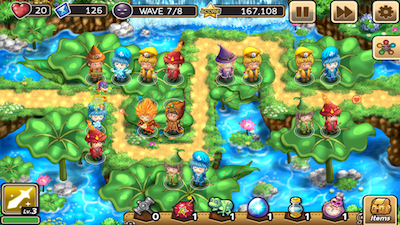 While I find the in-app purchases to be overly abundant and slightly annoying, I find the graphics and magic students entertaining. I like the idea of the students being able to interact with each other while they fight monsters. I also like the fact that opposite types of magic enhance each other rather than oppose each other. 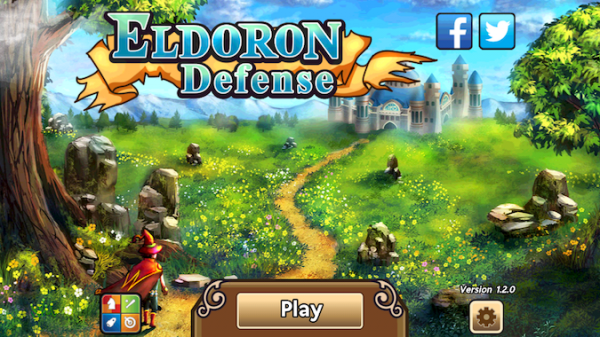 Eldoron Defense is a universal app, and it’s available in the App Store for FREE!